The Corner Hotel is an iconic Melbourne live music venue, and it’s an institution among musos near and far. It may look like a standard pub, but head upstairs to the newly refurbished rooftop and discover so much more than a dingy band room. Whether it’s pre-footy, post work or a lazy Sunday session, The Corner is the place to be. This vibe also calls for shared platters, and the menu definitely delivers. Reserve a table and share some tasty food with your mates, and make an evening of it. On Friday and Saturday nights there are DJs pumping the tunes from 11pm until late, so you can start the night off slow and build to a big night out. They also offer a late night menu, if you need to wash your drinks down with a burger or some bar snacks. Your next night out is definitely sorted at The Corner. 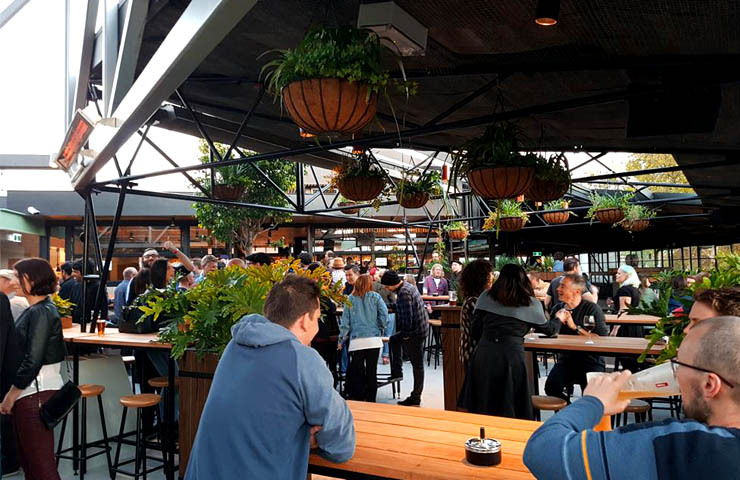 Located under the Victoria Park railway bridge on Johnson Street in Abbotsford, Dr Morse is a cozy little venue with awesome food and drinks. This unassuming venue is as much of a bar as it is an eatery, and both are of high standards. This cute bar is relaxed and comfortable, like a leather armchair by a fireplace (which they have, coincidentally). It’s a great place for smaller group gatherings too. Reserve a table out in their beer garden where you and your posse can enjoy some drinks and nibblies. 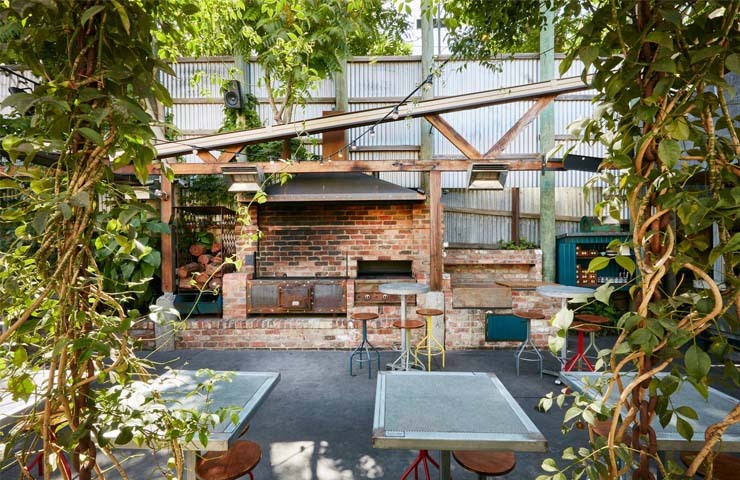 You’ll feel like you’re hanging out in a mate’s backyard, complete with wooden beams, ambient lighting, greenery and awesome tunes. 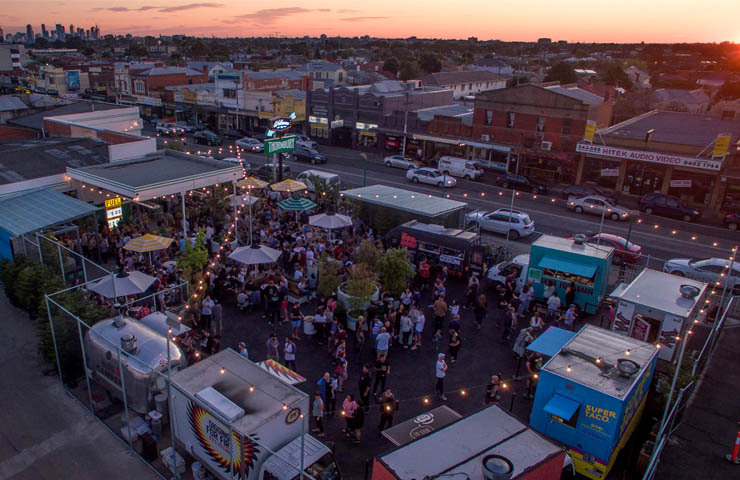 This permanent food truck park located on High Street in Thornbury, caters for everyone. Reserve a table inside but continue to have access to the large outdoor and food truck area where you can eat, drink and chat until your hearts are content. 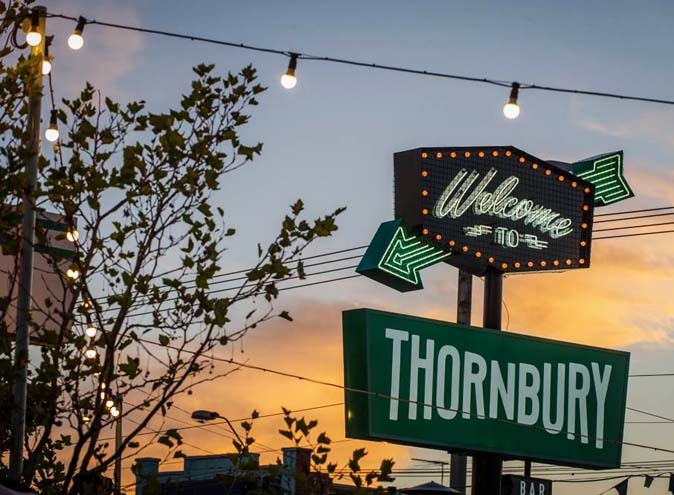 With weekly changing food trucks, Welcome to Thornbury is always fresh and exciting and I guarantee you’ll keep coming back for more. Every now and then they’ll host speciality events, such as an all chocolate food truck party or vegan only inspired food, so make sure you check out their socials for upcoming festivities. Its European inspired beer hall with seating options for larger and smaller groups makes Stomping Ground the best place for birthday drinks. This industrial space has multiple sections to cater for your group’s needs, with a dining area, beer garden and even little cubby spaces for kids (or adults who like to think they’re still kids) to seek out. 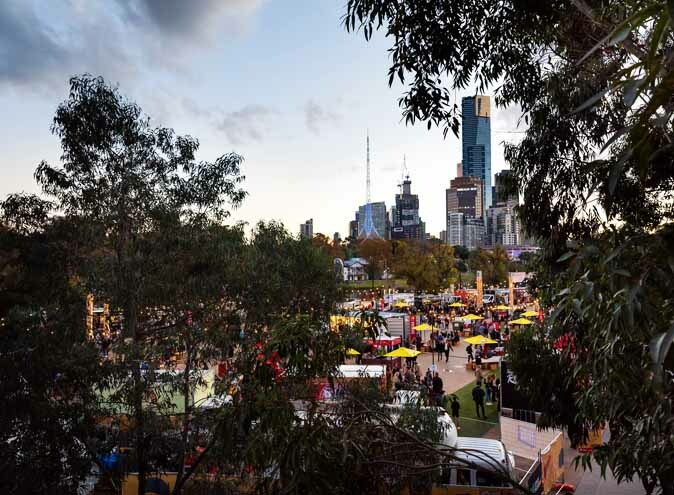 Stomping Ground has something for everyone but the beer garden has a strict ‘first in best dressed’ policy, so make sure you head down early to grab a table. If you’re after a group booking, get in touch with them directly and they can organise a separate section for you. 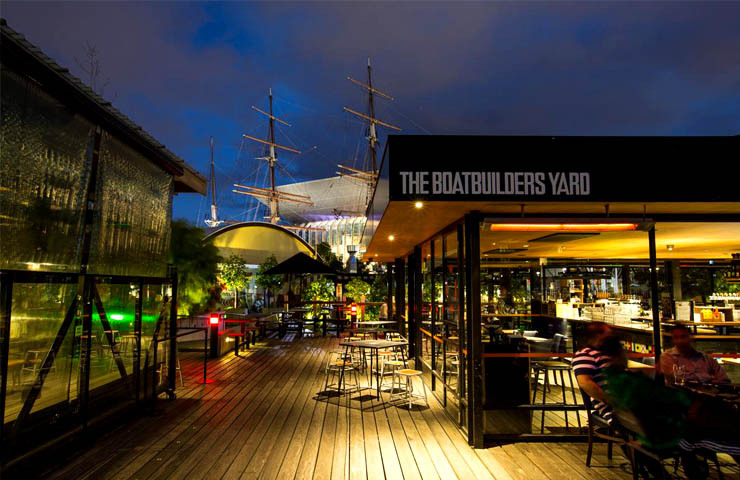 One of Melbourne’s most unique spaces is The Boatbuilders Yard, a 1400 person venue set on the banks of South Wharf. It’s definitely a sight to behold, and offers beautiful views no matter what time of the day. This historical shed has been modernized with an industrial style design and offers a relaxed atmosphere right on the water. This bar is perfect all year round too, with heaters and a roof outside for those colder months. 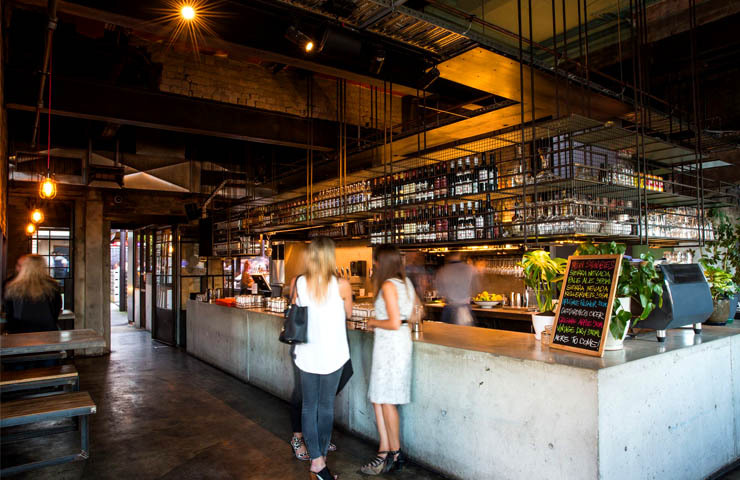 The Boatbuilders Yard is definitely a bar to check out in Melbourne. Come for the view, stay for, well… everything! 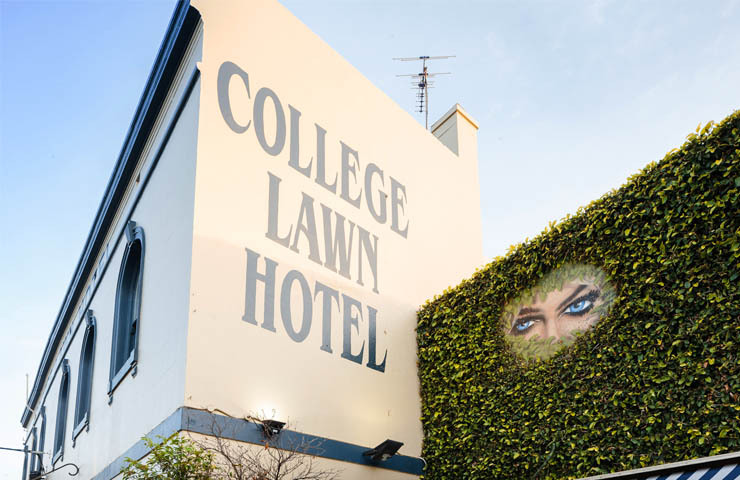 Located on the quieter side of Prahran, tucked behind the hustle and bustle of Chapel St, the College Lawn is described as a pub with constant Sunday Sesh vibes. 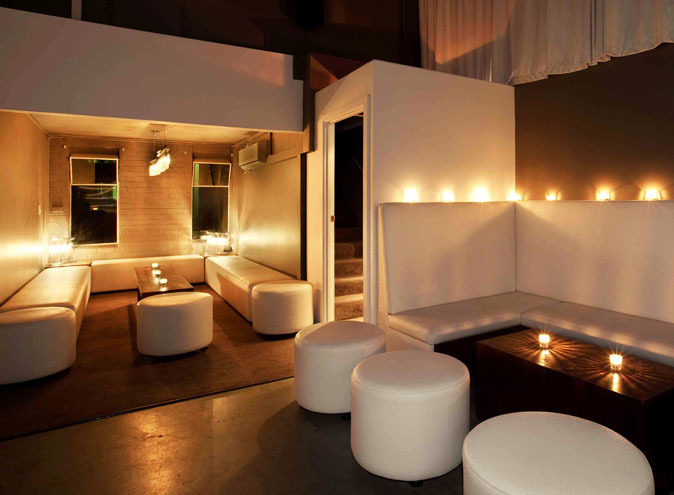 This venue houses a public bar, lounge bar, two courtyards and a dining area. It’s got everything you need. Think classic pub vibes with classic pub food. You can’t go wrong. These chilled vibes of College Lawn is ideal for some birthday drinks where both large and small groups are well catered for. Table and function bookings are available. The National Hotel is located on the ever buzzing Victoria Street in Richmond, and has come a long way from “The Nash” days, as the oldie locals would call it. The National has taken all the ingredients of its old pub way of life, jazzed it up, modernized it, and turned it into The National Hotel. 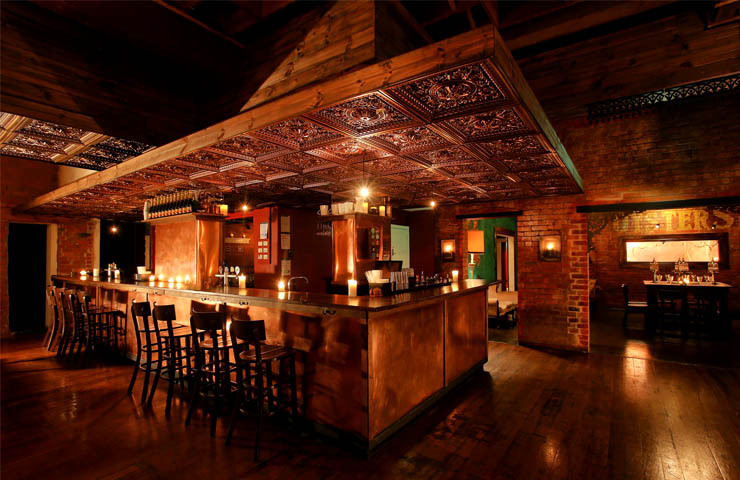 Made from ecofriendly décor – as everything inside comes from recycled material – The National offers five sections available for your party needs; the Café, booth seating, the Opium Den, the Dining Room and of course, its famous courtyard/beer garden. 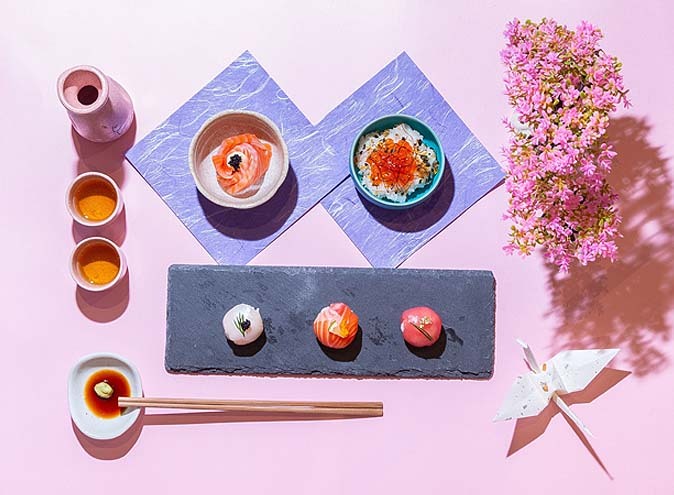 The menu is Asian inspired, with bold ingredients which accompany their large selection of quirky, Asian-inspired cocktails perfectly. The National is known for its Cards Against Humanity nights, as well as other cool events throughout the year. Check out their Facebook for more events. 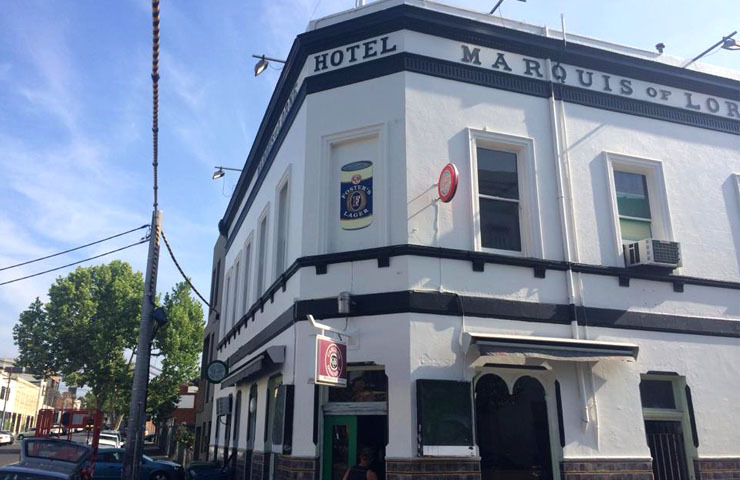 This three level pub located in Fitzroy is an institution amongst northsiders. It has been around for more than 150 years however a recent renovation has seen this classic pub keep its feel and ambience, but modernise its insides just a little bit, to keep up with the ever changing Melbourne pub landscape. Locals come head down for the relaxed vibes and the amazing food, so why don’t you make yourself a local as well, and host your next birthday here. 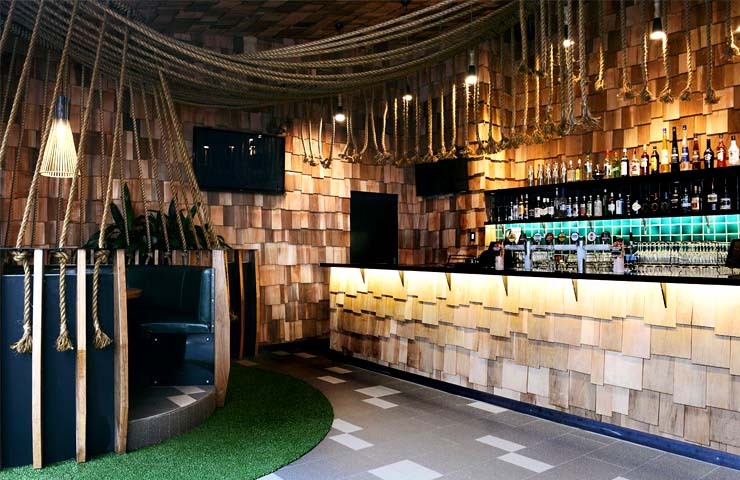 Another iconic venue, The Terminus Hotel has recently had new life injected into it, and is offering awesome jungle vibes of the Amazon with printed wallpaper and plants placed throughout the venue. 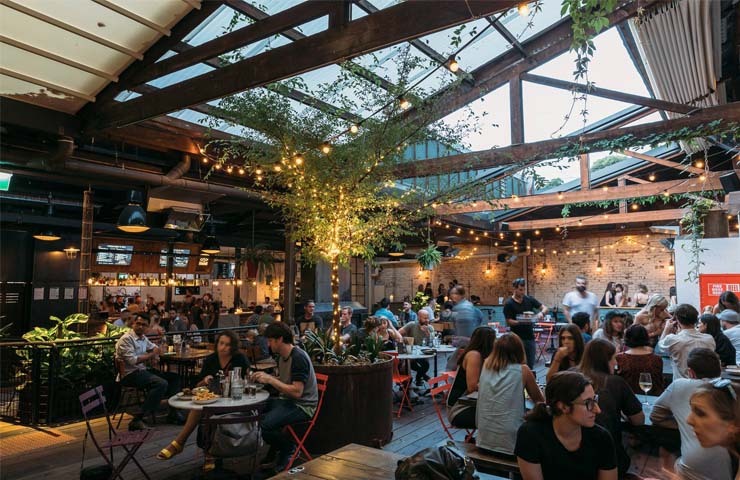 The beer garden is lively and you feel like you’ve stepped into an actual garden, not a courtyard in the middle of the city. The quirky décor brightens this venue, with roped off booths and greenery in every corner. The Terminus Hotel is spacious and inviting with 5 bars and a capacity for 516 patrons, but this place is always buzzing, so head down early and get involved. This reinvigorated pub has one mission statement, and that is “to be a bar for the people” no matter the generation. Terminus Hotel is a place to relax and enjoy the company. This New Orleans- inspired oyster saloon, smokehouse, cocktail bar and absinth den is a cozy little establishment tucked away on Gipps Street in Collingwood. Le Bon Ton has a very homely feel with candle lighting, exposed brick walls and leather booths. Out back you’ll fine a cute courtyard lit by hanging fairy lights and the atmosphere is always laid back and casual, great for catching up with some friends over a few pints. The real winner here is the Southern style menu, complete with smoked meat, apple pie and cornbread muffins. Le Bon Ton is a great venue to sit back and relax in the ambiance, and celebrate your birthday with amazing food, refreshing drinks and good company.